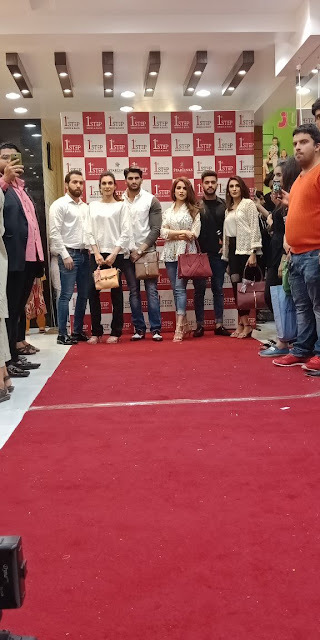 Karachi: First Step Shoes and Bags launched their four-storey building outlet, the biggest shoes and bag store of Pakistan yet, on main Tariq Road, earlier today with a fabulous event and fashion presentation. 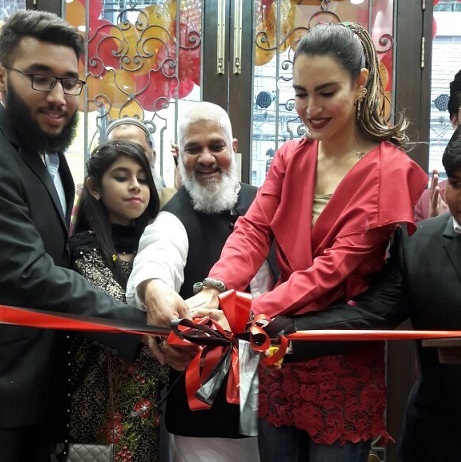 The event opened with inauguration and ribbon-cutting by supermodel Nadia Hussain, which was accompanied by cold fire, showering of petals and confetti. Popular RJ and host, Ahmed Godil engaged all guests at the Red Carpet with his vibrant hosting and entertained everyone present there. The fashion presentation choreographed by no other than veteran choreographer Imran Kureishi comprised models showcasing shoes and bags from First Step. Female models who sashayed down the catwalk included Humaira, Kulsum Malik and Falisha, whereas, male models included Bilal Khan,Raja Harris and Asif Rehman. 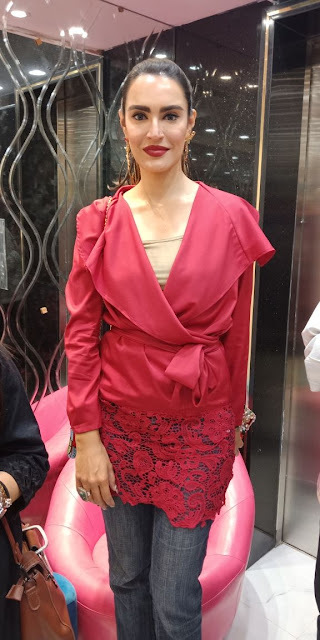 Renowned fashion designer Zubia Motiwala dressed the female models with her exclusive tops, while hair and makeup were done by the talented team of Depilex. Live mannequins were also placed to surprise the guests with their unique presence. Visitors availed of the tempting offer of Buy One, Get One Free, while media and invitees partook of the scrumptious hi-tea and enjoyed the giveaways. Speaking at the event, Daniyal Akbar, the director of First Step Shoes and Bags said, ‘We at first step prioritize to provide maximum customer satisfaction. We believe in delivering value based service and quality products to our consumers and creating a promising and long lasting relation with them. The outlet launch was a huge success, as First Step is already established nationwide as a house of premium quality shoes and bags for the family, having been founded in 2000. Owing to its reasonable prices and good quality, customers of First Step have long been waiting for an outlet on Tariq Road. In Karachi First Step has already been successfully running at Atrium Mall, Dolmen Mall, Millennium Mall, Zamzama, Hyderi and Liaquatabad and also has outlets successfully running in various cities of Pakistan. All in all, it was a well-attended and successful launch, leaving buyers elated with their shopping as the amazing deals were offered to customers for two more days following the launch. Awesome giveaways and bumper prizes such as Umrah tickets, microwave ovens and motorbikes were gifted to the First Step customers through a grand lucky draw.